Jane Harley joins Peter Reitzes to discuss Acceptance and Commitment Therapy (ACT) For Children & Teens Who Stutter. Ms. Harley is asked about her one day ACT workshop in Boston, March 9-10 in Boston, sponsored by the Stuttering Foundation. 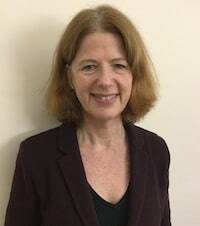 Jane Harley is a registered Speech and Language Therapist and Clinical Lead at the Michael Palin Centre for Stammering, London, UK. She also holds a Masters in Psychological Counselling. Over the last 20 years she has written about the use of cognitive-behaviour therapy (CBT) in working with people who stutter.